First things first, here's a quick overview of all the Week 10 Challenges. If you're struggling with a particular task, just click on the link and it'll take you straight through to the section in question. That's the complete list of what's coming with the next update, then, but how do you complete them all? Good question, and in the rest of this article you'll find a breakdown of how to do exactly that. If you've played much of Fornite before, then we think this one should be pretty self-explanatory. To tick this task off the list, you simply need to rummage through a total of seven Chests while in the Junk Junction location. It's highly likely you can finish this one off across multiple matches, but keep an eye on the tally if you get knocked out early on and see if your progress has been preserved. As always, don't forget that it's going to be an absolute blood-bath in Junk Junction when this challenge goes live. You've got the rest of Season 4 to actually finish this one, so you might want to wait a few days - just don't wait too long, as this will likely be the final week of the season! To finish this challenge you're going to need to deal a total of 5,000 points of damage to structures created by other players. The majority of building efforts still tend to take place in the latter stages of a match, so you might find this one tricky to complete if you struggle to reach the end-game. Given that the requirement almost certainly persists between matches, we'd suggest you simply take every opportunity to smash up someone's handiwork. Even if you'd rather avoid an engagement, if they've built up a nice juicy structure just ripe for the blowing up....do it. This one specifically dictates that you must complete all three of the objectives in a single match, but the hardest part by far is going to be bagging a Supply Drop. These drops are comparatively rare, but it is overwhelmingly likely that you're going to loot a Chest and also pick up some ammo before one appears on the map. For the final component, you're just going to have to rely on Lady Luck and be ready for a fight when a Supply Drop appears nearby. Just keep in mind that there's a good chance you'll face more competition than normal when it does. This week's more imaginative challenge is actually one that we've seen before. To make progress on it, you'll simply need to pass through as many rings as possible as you leap from the battle bus and plummet down to the ground. This challenge tasks you with searching between different Movie Titles on Fortnite’s map for some Battle Stars. Thankfully FuRyTV has done the hard work for us and we’ve linked his video down below so you can get a headstart on the competition when this challenge goes live on Thursday! Do make sure to give his channel a thumbs up and consider subscribing for more helpful Fortnite content! 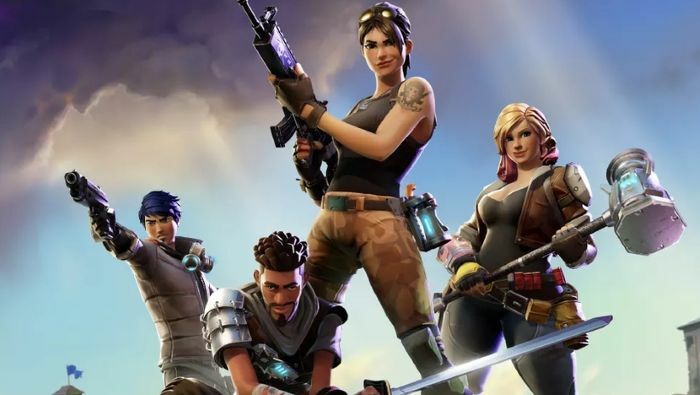 It probably hasn't escaped your attention that your ultimate objective in Fortnite is to be the last man standing and that probably means you're going to have to perform some takedowns of your own. This challenge, then, is really rather simple. Kill ten other players and you'll get your reward. Good luck! This challenge has you eliminating opponents specifically in Fatal Fields. You can actually combine it with the previous one if you're up for the task. It goes without saying that Fatal Fields is going to be a particularly violent place to land when the challenge actually goes live. Give it a couple of days if you want something a little less intense, but don't wait too long as Season 4 ends very shortly.